Mark Powell obtained his doctorate in Social Anthropology from the Queen's University of Belfast in 2006 and has worked on various ESRC funded research projects at Sheffield and Durham Universities. His main research interests centre on issues of community, identity and belonging explored through ethnographic research methods. Jenny Hockey trained as an anthropologist and is Emeritus Professor of Sociology at the University of Sheffield. Her research interests include death and dying; ageing and the life course; gender, heterosexuality and masculinity; memory and material culture. Her current research focuses on identity and transition, and uses footwear as a lens through which to examine the roles of embodiment and memory. Trish Green obtained her PhD in Gender Studies in 2007 from the University of Hull and has worked as RA on several funded research projects at the Universities of Hull, York and Sheffield. Her research interests lie in the relational aspects of life course transitions; ageing and gendered subjectivities and the emotional meanings of time, space and place. She is currently employed as a part-time lecturer in the Department of Social Sciences, University of Hull. Andy Clayden is Senior Lecturer at the Department of Landscape, University of Sheffield. He is also a practicing landscape architect who specializes in aspects of sustainable design. His research interests focus on the design and management of cemeteries and specifically natural burial. He has co-authored books on different aspects of sustainable design and has also contributed to the development of government guidance on natural burial and published refereed articles and book chapters on this subject. This paper derives from a 3 year ESRC-funded study of natural burial that explores the diversity of interpretations of a concept which, at its inception in 1993, was a clearly-defined commitment to the ecologically-sound disposal of the dead. Natural burial, to varying degrees, thus co-ordinates human concerns for the natural environment with human burial activities. The paper seeks to explore the emotional implications of natural burial as both a landscape and a practice and considers the social relationships that exist between site managers and users. It elaborates how natural burial landscapes and practices might draw their managers into complex and seemingly ambiguous emotional relationships with their clients. To achieve this, the paper focuses on the perspectives of one manager as he engages in the everyday practices and relationships that constitute this role. The data drawn on emerge from a three-month ethnographic study undertaken at the site. We define natural burial as a culturally creative endeavour, and consider its landscapes and practices as the outcome of engagements between a range of individuals and their environments. We position the individuals at the site as embedded elements of natural burial landscapes wherein perceptions are sourced to embodied experiences of place. This paper seeks to explore the emotional implications of natural burial as both a practice and a landscape and considers the social relationships that exist between site managers and users. It achieves this by focusing on the perspectives of one manager as he engages in the everyday practices and relationships that constitute this role. Thus, while the article does attend to the interactions between site managers and users, their relationship is explored primarily through the viewpoints and experiences of death care professionals familiar with working in natural burial contexts, rather than those who visit as members of a funeral party. These data derive from a 3 year ESRC-funded project which has explored the cultural, social and emotional implications of natural burial in the UK. The project combined the building of a data base of indicative data for all UK sites contactable, visits to 20 sites where the owner or manager was interviewed, and extended ethnographic fieldwork at four contrasting natural burial grounds. What this paper elaborates is how the proliferation of different natural burial landscapes and practices has resulted in complex emotional relationships forming between burial site managers and clients. We define natural burial as a culturally creative endeavour and consider the landscapes and practices that constitute natural burial as the outcome of engagements between a range of individuals and their environments (see Rapport 1997: 29). Established in 1991, the Natural Burial Movement is committed to providing burial grounds where headstones are not permitted, where environmental considerations inform body preparation and disposal, and where there is a concern to preserve or create new habitats. While we can access remains of a material culture of burial in this country from around 4,000 BCE onwards (Ray, 1999), contemporary ‘natural’ burial may involve few of the permanent markers of human culture which have traditionally lent burial grounds a ‘sacred’ status and provided containment for the human body: for example, durable coffins, grave stones, a boundary wall and dedicated buildings (Rugg, 2000). Yet Davies argues that, despite natural burial’s apparent lack of cultural markers, it potentially ‘furnishes an authentic basis for understanding both life and death for those for whom either “heaven” or “memory” is an inadequate means of making sense of life and of death’ (2005:87). As our data show, one way in which the commitments of the Natural Burial Movement are addressed is through a degree of choice and opportunity in making arrangements perceived as difficult to realise in ‘traditional’ burial grounds and cemeteries. For example, in some natural burial sites, the families and friends of the deceased make funeral arrangements without consultation with funeral directors, a strategy that affords them greater involvement with and indeed direct control over the funeral. In other examples a natural burial is organised in a way that requires a funeral director, priest and burial site manager to work together and assume joint responsibility for its organisation, much as they would do in any funeral context. In other examples, participants in natural burial dispense with the priest entirely, choosing to conduct the service themselves. And while they may prefer to keep the funeral director involved, may decide to avoid the custom of wearing black or sombre clothing. In our project’s least conventional examples, bereaved people assumed almost complete control of events. In such cases family and friends assisted in the grave digging, prepared the body for burial and used one of a range of body container options, a wood or cardboard coffin for example, or wool or cotton shroud. They also conveyed the body to the burial site in a private vehicle, carried it to the graveside and back-filled the grave after the service. Our research has shown that there is no single definition of natural burial, as either landscape form or burial practice. In consequence, we present it here as a culturally creative endeavour, inspired by a whole range of different religious, spiritual and environmental concerns (including care for the deceased). Among the generalisations we can draw from our findings we propose the following: individuals are discovering that natural burial offers far greater choice, firstly about how they might deal with the deceased and secondly, about the style of burial landscape within which they and the deceased can be accommodated. In recognising culture as unrestrained by geographical boundaries or associated with particular territories or locations (Basch et al 1994), we acknowledge that the UK has no single style of burial ‘culture’. That said, a history of particular disposal practices does constitute an established repertoire of possibilities, ranging from churchyard to domestic interment, from burial to cremation to newer technologies such as Promession (the process of freeze-drying the body) (Jupp and Gittings 1999) and resomation (alkaline hydrolysis) (Jones, 2008). Hence , decisions about how to engage with the body, where these have not been determined by the deceased, depend upon a family and/or friends’ awareness of what is possible and their experience of engaging with particular professional or informal services and resources (Jackson 2005: xiv). Such interactions and social engagements can materialise in observable cultural forms that evolve into a particular way of ‘dealing’ with the deceased. These are seldom ‘new’ practices but should rather be regarded as hybrid forms on a continuum with ‘traditional’ burial styles (Drummond 1998). Dealing with the dead in the UK thus represents an ongoing project wherein the ethos of natural burial is embedded alongside existing and ‘new’ interpretations of UK disposal practice. As indicated, there is no one model of natural burial, nor of the landscapes in which natural burials take place. Since 1993, when the practice of natural burial was first implemented within a woodland burial ground, it has evolved to embrace a range of different habitats including; wildflower meadows; mature woodland; pasture and orchard. Moreover, natural burial site owners and managers can have a distinctive impact on how natural burial is interpreted as a practice and how the landscape subsequently develops (Clayden, 2003, 2004). Thus, a manager’s approach may be influenced by other roles they occupy, perhaps as landowner, business person or farmer (Clayden et al 2010a) and be further complicated by additional role expectations such as funeral director, bereavement councillor and forester. In this respect, their practice evokes the builder/carpenter/undertakers described in Gore’s (2001) study of the East Kent funeral industry before the 1920s. Contemporary burial ground managers may also be motivated by a range of self-interested desires that can include altruism, financial gain and/or a commitment to sustain or promote certain understandings of the natural environment. The identities associated with these desires each have their own requirements and may motivate the burial manager to act in ambiguous ways in order to satisfy various and potentially competing expectations and commitments. As a result, different practices and landscapes develop; yet in all cases, there are areas of similarity to ‘natural’ and non-‘natural’ burial landscapes and practices found in other parts of the UK. Furthermore, and although natural burial may be described as ‘new’, our research revealed that people seldom chose to bury in ways that were completely culturally unfamiliar. On the basis of our detailed ethnographic research we suggest that while natural burial may offer individuals a choice about how to organise human burial, and that this takes place within a newly emerging ‘deathscape’ (Clayden et al 2010a, 2010b), such burials are nevertheless inspired by existing funeral norms and traditions. Such ‘expectability’ (Rapport 2003: 251) removes some of the uncertainty and confusion natural burials might inspire and provides a ‘hand rail’ of familiarity to events, one that can be emotionally reassuring. Natural burial, to varying degrees, and in varying examples, co-ordinates human concerns for the ‘natural’ environment with human burial activities. Although many have experience of land management, the majority of natural burial site owners and managers, who are operating outside the context of the local authority cemetery, have no formal training or prior experience of how to manage human burial1. That said, website searches revealed that each site has its own particular understanding of natural burial as a landscape and a practice for dealing with the deceased. 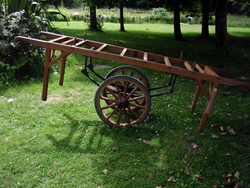 The vast majority of websites provide imagery of the landscapes into which the deceased can be buried; information regarding the options that are on offer at the site (for example, a horse-drawn cart on which the coffin can be conveyed to the graveside); and on-site rules and regulations that managers choose to impose and users agree to adhere to, including memorialisation policies that range from no grave marking whatsoever, to a small plaque with planting (trees, shrubs, wildflowers). In the majority of cases, a ‘mission statement’ regarding commitment to low environmental impact is included2. Although, as established, there is no one model of natural burial, nonetheless we would suggest that the vision held by its advocates is long-term and future oriented and that this might at times stand counter to its users, whose need for the site in the first instance is immediate and potentially precipitated by emotional upheaval. It is important then to explore this juxtaposition through the working practices of those who have chosen to undertake the management of a natural burial site in which the sustainability of the landscape runs alongside care of the deceased and their bereaved relatives and friends. Stronach et al (2002: 110) present an account of the ‘professional self’ as precariously located within an ‘economy of performance’ and ‘ecology of practice’: the former is policy and outcome-related and as such is in effect measurable; the latter refers to knowledge gained through work-related and affective experience. They suggest these are in constant flux and create ‘discrepant identities’, as individuals deemed ‘professional’ attempt to reconcile tensions experienced in their working lives. When these authors’ assertions are considered alongside the ethos, practice and experience of natural burial, it becomes clear that there are a number of quite specific tensions for those managing these new deathscapes. Whilst any organisational environment can be seen as the outcome of individual engagements, the natural burial ground evidences a particularly diverse and at times incompatible range of needs, desires and investments, ones which unfold across very different timescapes. Funerals themselves, as temporally bounded events, can involve intense emotions when, for example, the identity of the deceased may become increasingly complex and ambiguous. When alive, a person has different identities, for example, spouse, lover, sibling, parent. At a funeral, where perhaps disparate family and friends come together, such identities can collide, as personalities and relationships coexist in the same place/space and at the same time. In addition, the death might provide some individuals with new power or responsibilities. A bereaved wife could, for example, assume rights as legal guardian that supersede those of the deceased’s parents, so that conflicting ideas might emerge about how to organise the funeral, where the body is going, and how to memorialise the person in the long and short term. While these decisions are common to all funerals, the relative unfamiliarity of natural burial means that attitudes and expectations may vary, causing concern among different mourners in the lead-up to the funeral itself. The temporal context within which decision-making processes take place is also important. Thus, the natural burial landscape in which bodies are interred displays a different momentum from that of the individual burials taking place within it, the latter having a relatively short-term trajectory (except of course for the deceased, who will merge with the landscape over time). This means that the task of managing a site such as this is subject to shifting emotional needs and wants in different temporal moments. In addition to the diversity of orientations and agendas which together constitute the ‘culturally creative endeavour’ of natural burial, the way that ‘nature’ itself is understood cannot be seen as self-evident. That human beings consider themselves outside of, or apart from, nature is implied in the commonplace rhetoric ‘back to nature’, which, as a form of metaphor, ‘may structure our thought in ways that escape our awareness, and our critical judgement’ (Olwig, 1993: 90). Such terminology is evident in the discursive construction of natural burial by its advocates (West, 1991; Wienrich and Speyer, 2003) and is also present on natural burial websites, brochures and in our research data. This is in line with the assertion Tilley (1994) has made that, as humans, we experience the world by first setting ourselves apart from it and, through culture, then learning to understand it. By contrast, Ingold (1993; 2000) rejects a division between nature and culture, arguing that we ‘dwell’ in the world/landscape rather than exist apart from it. He suggests that ‘through living in it the landscape becomes part of us, just as we are a part of it’ and it is through our dwelling that we ‘come to understand the world by perceiving it directly’ (1993: 154)3. For Ingold then, there is no ‘going back to nature’, for we are already a part of it. Moreover, and as Ingold informs us, the landscape is always ongoing, a ‘work in progress’ (Ingold, 1993: 162), an environment with things and not objects which are in a constant state of flux (Ingold, 2010). In response to these theoretical debates, we are led by our empirical research to argue that engagement with ‘nature’ from the gradually more distanced perspective of urban living, has resulted in an understanding of the natural world as something from which human beings have become set apart. Thus, when people choose natural burial this reflects a sense of themselves as somehow separated from nature, and a desire to be re-connected with it. This view is likely to be espoused even among those who live and work in a rural location, so revealing its contemporary hegemony. Foucault privileged the discursive rather than embodied emergence of social ‘reality’; he argued that ‘it is not possible to disregard the fatal intersection of time with space’ (1986: 22). Indeed, if we carry this idea into the natural burial landscape and state that in Foucault’s terms it is a ‘site’ that is ‘defined by relations of proximity between points or elements’ (23), it is also then a ‘bounded space’ (McNamee, 2000) wherein an assortment of different, and at times conflicting, relationships and activities occur and which, over time, transform space into ‘practiced place’ (de Certeau, 1988, cited in McNamee, 2000: 489). Albeit reflecting different theoretical starting points, these arguments nonetheless resonate with Ingold’s notion of the ‘taskscape’, as he explains: ‘just as the landscape is an array of related features so – by analogy – the taskscape is an array of related activities’ (1993: 158). We also acknowledge, however, Ingold’s assertion that, ‘there could be no places were it not for the comings and goings of human beings and other organisms to and from them, from and to places elsewhere’ (2008: 1808). The natural burial ground, like the cemetery ‘where each family possesses its dark resting place’ (Foucault, 1986: 25), is then replete with contradictions inasmuch as the site of interment of the deceased loved one is fixed (although its appearance might fluctuate over time, see Clayden et al 2009), but is visited by bereaved relatives and friends, who travel along and so shape the paths from home to site and back again (see also Olwig, 1993). In what follows we consider individuals, the living and the dead, as embedded elements of natural burial environments, where, for the living, perceptions are sourced to an embodied experience of place (Ingold 2000; Milton 1996, 2002). We adopt an approach that seeks to understand the cognitive viewpoints and perspectives of our research participants (Rapport, 1997: 5) as we turn to examine the position of natural burial site managers through the experiences of one individual, Tom Adams4. Through the data presented below, we explore his emotional engagement with his professional work, beginning with a description of the burial site Tom manages and an account of our ethnographic practice. 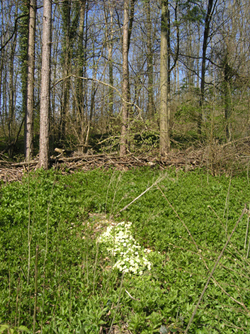 The burial ground covers an area of approximately 6 acres and is set within a rural context at the bottom of small wooded valley in the south west of England (see fig 1). 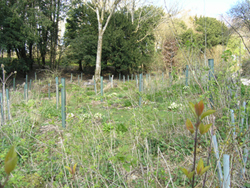 The charitable trust, which manages the burial ground, and an additional 50 acres of mixed woodland, is aiming to re-establish native broadleaf woodland through selective felling and planting, (see fig 2). The burial ground has been open for approximately ten years, since when there have been more than 500 burials, all of them in existing woodland and recently cleared areas replanted with native trees. 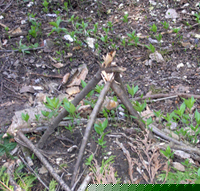 No marking is permitted apart from native wildflowers (see fig 3) although there is some evidence of small personal items placed on the grave, or a simple memorial made from natural materials such as sticks and fir cones gathered on site, (see figs 4 and 5). New trees have been planted, although unlike the practice at many other woodland burial grounds, tree planting at this site does not specifically relate to individual graves. From our original 20 natural burial ground visits and interviews with owners and managers, this site was one of four selected for further detailed ethnographic fieldwork. They were chosen in order to explore different interpretations of natural burial and ownership. The other sites included were managed by a Local Authority, a farming couple and a funeral director. The site that is the focus of this paper was however distinctive in that it provided an opportunity for the researcher, Mark Powell, to live on site in the hostel owned by the trust and to work alongside the manager and volunteers recruited to support the activities of the trust, including the burial ground. The income from the burial ground is used by the trust to help support its educational remit in promoting environmental sustainability through residential short courses and working with visiting school groups. During this period of inhabiting the site, which occurred in weekly blocks over a period of approximately 3 months, Mark helped with woodland management, grave digging and assisted at funerals. The time spent there was also used to recruit research participants for the study, which included interviews with bereaved people, celebrants, funeral directors and staff working at the burial ground. Tom is employed as a manager, a role which is multi-stranded and requires a variety of different approaches, as this article demonstrates. Without formal training in the deathcare profession, as the above extract from one of Mark’s conversations with him illustrates, the management style Tom adopted was at odds with his perception of the traditional deathcare worker5. It was evident through observations and encounters at the site that Tom was keen to present himself as offering something different to his bereaved clientele. Indeed, data from interviews with site users indicate that his approach was held in very high esteem, described by various respondents in terms such as ‘wonderful’ and ‘just right’. Tom clearly welcomed the opportunity to write his own script and thus create his own model of death-related work. At the same time, however, he desired affirmation of his own professionalism through his management of the site and his skill at dealing with bereaved people. Mark’s conversations with him showed that his ideas regarding burial had changed and evolved with time and experience. Clearly then, and although Tom presented his professional self ‘differently’ from that of other professionals (Goffman, 1959), he remained caught up in the ‘flux’ of identities Stronach et al (2002) describe, as he carried out a series of tasks that were often in tension with one another. Regarding himself custodian of a wooded landscape, Tom coppiced, planted and encouraged wildlife to flourish. Speaking as a woodland manager he explained the notion of being human as part of a larger ecosystem where human burials are a source of fertilizer for the woodland site, rationalising human burial as part of a natural cycle of nutrient flow. Tom dressed as a woodsman. His hair was long and, rather than the smart, formal attire of a death care professional, he wore heavy work boots, a fleece and fawn coloured trousers with numerous pockets, topped by an old waxed cotton jacket. Tom’s woodsman identity was also apparent in the paraphernalia scattered around his office. Axes, rakes and spades were leant in the corner and a pile of muddy wellington boots was hidden beneath a collection of waterproof over-trousers. The walls were covered in posters with illustrations of wild flowers, mushrooms and bird life; pencil marks noted which of these Tom, and Mick Ellis the grave digger, had spotted in the woodland site. In that the burial ground was experienced by Tom as a natural woodland environment, his behaviour and practice, his ‘dwelling’, brought this aspect of the landscape into being. For example, when he and Mick worked the land they engaged in loud banter. No matter what the weather, both laughed and taunted each other as they focused on the practical realities of managing the woodland. So, while the area could assume a quiet and reflective atmosphere during a funeral, it was not always so. This resonates with Foucault’s notion of the ‘heterotopia’, a space that has different layers of meaning condensed within it and ‘is capable of juxtaposing in a single real place several spaces, several sites that are in themselves incompatible’ (1986: 25). The natural burial site is, however, a collective endeavour that, like Ingold’s ‘taskscape’ (1993), emerges through on-site relationships and practices as one task shapes another. Although, and as in the heterotopic site, there are tensions and conflicts between the different agendas of those who dwelt within this natural burial ground, nonetheless almost all of our interviewees perceived what we term their ‘dwelling’ as a contribution towards environmental sustainability. In that Tom positioned human beings as natural components of the environment, his emic, or ‘folk’ theory, resonates with Ingold’s (2000) theoretical rejection of the notion that people exist apart from ‘nature’. Importantly, as we discuss below, Tom’s perspective has emotional as well as environmental consequences in that it allowed him to effectively depersonalise the dead community. In this scenario, then, as seen from Tom’s viewpoint, his priority was care of the woodland wherein decomposition of the dead body enriched and protected the land. This rational narrative seemingly allowed Tom to cognitively detach himself from emotional engagement with the full implications of his role as burial ground manager (see Rapport 2003: 248). People wishing to arrange funerals initially came to speak with Tom in his office. As well as engaging with bereaved clients, Tom was frequently approached by people wishing to arrange their own funerals and pre-purchase their own burial space in the woodland. Tom’s approach was friendly but firm and our data reveal that this was welcomed by prospective purchasers and the family and friends of the deceased. As described, his office space and style of dress were unlike that of a traditional funeral director. Indeed, Mark found that some of Tom’s clients struggled to identify him as the manager of the burial site, Tom also adopted an informal approach with clients that was described as ‘laid back’ by the funeral directors Mark interviewed, who subscribed to a less tactile or openly emotional connection to grieving friends and relatives of the deceased. Although Tom regarded himself, and was very much regarded among the natural burial fraternity, as having a professional approach, he chose to engage with mourners in affable and informal ways. Most importantly, Tom refused to implement what he regarded as a symbolic professional boundary that dis-empowered the dying, and friends and relatives of the deceased, which he felt made it difficult for them to express and satisfy their needs and wants6. This stance is evidenced in the quote above, where Tom refers to what he sees as the morbid processions staged by men in Edwardian black, asserting that ‘we've taken that back, we've grabbed possession of that’. Thus, the first meeting between Tom and those he described as ‘his families’, was informal and relaxed. Tom clearly regarded it as his responsibility to remain emotionally astute, employing what could be described as an informal rationality (Adams 1993), whereby practical matters are resolved through a flexible, responsive approach to individual circumstances. He weighed up family members, enquired if they had a big relative group and who was likely to attend on the day. His musings at this time included: to what degree would they be willing and able to participate in the committal themselves? Would it be helpful for them to be involved in the ceremony? How are they coping emotionally with the experience of death? Which aspects could be arranged on a do-it-yourself basis; which were best left to the professional funeral directors; and which could he and Mick help with? Getting down and dirty in a hole, in the middle of the trees! That’s what it is, and we’re going to put Alan, Colin or who ever in that hole! ... I tell [bereaved clients] ‘it’s your day, that’s what I’m here for, to help you create a day that you’re all going to remember.’ Look at the smiles on their faces, how often do you see people leaving a funeral who are buoyed up? Tom assumed the role of mentor and Mark’s interviews with site users revealed that he was regarded by them as a safe pair of hands. He was a facilitator and an organiser, a director of ceremonies, a speaker of words, and a personal confidant; and, because he engaged with people in an affable and personable way, was regarded by many as a friend. At one funeral it was observed, for example, that a tearful woman ended her eulogy and then, standing frozen at the graveside, was unsure of what to do next and called out to Tom for help. Bereaved people attending the funeral looked to him to both display a degree of professional stoicism, and also be accessible to the different emotional needs of family and friends. Burial practices at this natural burial site, particularly DIY funeral arrangements, thus enabled family and friends of the deceased to claim a degree of emotional ownership of and engagement with the funeral process. As described, at times Tom actively encouraged friends and family to take control and participate directly in the proceedings, to perhaps carry the coffin or grasp the webbing straps to lower the deceased into the grave. Although Tom voiced a commitment to empowering his bereaved clientele, his working practices nevertheless resonate with Walter’s comment about contemporary deathways, that ‘doing it yourself is therefore possible, but only in company’ (1994: 189). Indeed, his management style indicated Tom’s attempts to retain a degree of control over the funeral process. It was through an assessment of ‘his families’ and their capabilities, for example, that he judged what might and might not be suitable for them. In engaging with friends and relatives of the deceased in order to ‘manage’ them, however, Tom also became emotionally associated with them and, in adopting an easy going and open approach exposed himself to the emotional trauma of his clients. Strathern (1988: 273) has suggested that personhood is produced through social relationships, a perspective that has particular implications for Tom’s complex relationships with clients both living and dead. Thus, it was when Tom came to know the friends and relatives of the deceased and in consequence identified the deceased for himself as a father or mother, sister or brother, son, daughter or work colleague, that he then had to imaginatively engage with the contents of each ‘box’ (coffin). Friends and relatives, for example, frequently distributed photographs of the deceased and recalled memorable stories, histories and exploits to be shared at the burial ceremony. It was during these pre-funeral engagements that a relationship between Tom and the deceased was engendered. Effectively, the once-anonymous contents of the box were transformed for Tom into something more tangible; the remains of a once-living person. Without such social and emotional connections Tom may have been more easily able to imagine simply burying matter that would merge over time with the rest of the organic world. That said, Milton (2002: 87) has described how a sense of identity is constituted through relationships with not only other human beings but also other non-human things. Considering identity as created through such relationships was significant for Tom as a major element of his identity as a burial site manager was linked to his engagement with the landscape. A large proportion of his time was spent working in the woods and immersing himself in the woodland taskscape (Ingold 2000). Tom’s concern and priorities as a woodland manager were to encourage the sustainability of the woodland, and the issue of human burial was one concern among the many he undertook whilst caring for this natural environment. However, boxed bodies do not arrive at the woodland site like fence posts or saplings and are not organised around the task of digging a hole. Instead Tom had to take delivery of each box and personally engage with the people who accompanied it and regarded it as a socially and emotionally significant object. 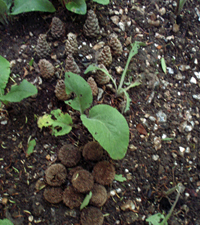 In his role as a burial site manager, Tom regarded human burial as an aspect of the woodland nutrient cycle but at the same time recognised his role as not merely an emotionally-engaged custodian of the non-human landscape but rather as a facilitator who accommodated what he described as the ‘natural’ needs of humans as they negotiated their own space in the burial landscape. All of Tom’s work in maintaining the woodland was linked to his role of caring for the deceased, and those who came to bury there. Indeed, as noted, income from the burial ground resourced initiatives on the site as a whole. Although Tom’s long-term plan was to recreate native woodland on the site, as described above, in the short term he had to consider the immediate practical, social and emotional needs of those with a more personal emotional investment in this landscape. As he said, ‘What I’m doing, to me it’s just another box, but for them, you’re handling something really precious’. In practice, however, this disparity was not one that Tom could easily work across. In one conversation, he described how he remained successfully detached from personal involvement with burying the deceased. Indeed, so successful was he at maintaining an emotional distance that he claimed he was forced to write the name of the deceased on his hand in order to remember it. This strategy echoes Jackson’s (1998: 7) account of how ‘empirical persons’ can be repositioned into vague abstract generalisations, here with the aim of reducing the emotional impact of a more personalised engagement with the death of an ‘empirical person’. Thus, although Tom described himself as motivated by his embodied engagement with the ecological environment (see Milton 2002: 4), he was aware that his role as burial ground manager had social as well as ecological entailments. In other words, Tom was unable to sustain an explanation of his job as merely a case of managing woodland and burying boxes. As the quote above indicates, Tom occupied a complicated emotional position, both fearing the distress that an identification with both the deceased and the bereaved might evoke, and yet experiencing concern that detachment was somehow detrimental to the performance of deathcare he aspired to. This difficult position reflects the paradox that to successfully guide bereaved people through rituals of disposal, a degree of emotional control is felt to be needed; yet to remain emotionally aloof is to neglect the feelings of those he seeks to assist (Hockey, 1990,1993; Naess 1988: 22, cf Milton 2002: 75). As we see Tom entering into relationships with bereaved people, the implications of this paradox become more evident. Thus, in his role as burial ground manager he welcomed the relatives and friends of the deceased onto ‘his’ land. In so doing, he engendered relationships with them and by default with the deceased. Although he attempted to achieve particular kinds of disengagement from both the living and the dead, his meetings with bereaved people and his own experiences of bereavement encroached on his ability to do so. Instead, he became entangled in the lives of site users, needing to gain their trust and lend his support through a crisis period, as well as beyond, as they returned to visit and tend the graves of their loved ones and, in several instances, became on-site volunteers. Failure to operate in this way would undermine the successful performance of Tom’s ‘deathcare’ identity. Thus, as his professional, personal and emotional agendas collided, Tom was caught up in what Stronach et al (2002: 198) identify as ‘a complicated nexus between policy, ideology and practice’, as he responded to diverse needs and desires: those of the site’s trustees; his bereaved clientele; and the landscape he determined to shape and sustain. As Milton (2002) argues, the landscape too evokes particular feelings and makes emotional demands. In adopting a similar landscape perspective to that of Ingold (2000), it is possible to appreciate the emotional implications of Tom’s professional role as inseparable from those of his personal identity. This seamless conjoining was even more apparent when Tom was occasionally required to help organise burials of friends and relatives. We now turn to discuss Mark’s observations of one such occasion. As described above, Mark attended the woodland burial site regularly over a period of three months, assisting Tom and Mick with burials and a variety of woodland tasks. He was present when a friend of Tom’s died and Tom was tasked to arrange the burial. Tom had known this individual since childhood, and also knew the deceased’s family and other members of the social circle. The following account illustrates the emotional implications of natural burial for Tom by showing how different aspects of his identity merged and diverged simultaneously, such that individuals attending the funeral had contradictory impressions of when Tom was acting as a death care professional and when as a friend. Such analysis is possible because Mark was able to compare differences between Tom’s behaviour at the burial of his friend and that which he had observed at numerous other funerals he witnessed and participated in during his research activities. On the day of his friend’s burial, the wicker coffin arrived at the burial site, and, as was usual, Tom mingled quietly with the mourners. It was his practice to use this opportunity to brief those who had agreed to lower the casket into the grave. The casket was moved onto the hand bier (see fig 6) and some of the mourners wheeled it down the long woodland track to the grave site. Mark noticed that Tom displayed more concern for the mourners than usual, and also observed that when he later removed his waxed jacket, Tom was dressed in a light coloured and smartly pressed shirt. Gathering together the coffin bearers Tom stepped forward to guide the casket onto the putlocks (see fig 7) and, as witnessed by Mark on previous occasions, called out, ‘Thank you gentlemen!’ The casket was raised a little by those holding the strops, allowing Tom to remove the putlocks. To the accompaniment of Tom’s quiet whispers of guidance, the casket was gently lowered into the grave. The eulogy began and instead of stepping back, Tom chose to stand with the mourners and like them lowered his head. At the end of the service Tom mixed with the mourners, shaking hands and hugging those visibly upset, speaking quiet words of comfort to his friends, while all the time directing them along the track that led out of the woods. As was sometimes the case with other burials, people appeared lost, not knowing the route back to their parked cars. 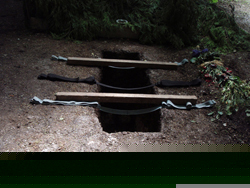 After giving directions, Tom allowed his friends to disappear along the woodland path whilst he remained with Mick to help take up the lowering strops and start backfilling the grave. He and Mick talked quietly, chuckling as they recalled the woman who had walked in the woods in her high heels. After a while Tom paused to roll a cigarette and, as was his custom, lit up as a symbolic marker of another successful burial. These observations show Tom’s capacity to move between emotional domains and identities when attending the burial of his friend. His actions revealed another dimension of Tom’s identity, that of an emotionally responsive friend, which he was able to fulfil through his choice of clothing; yet in initially concealing this beneath his waxed jacket he was able to perform his professional obligations to others in the role of burial ground manager. Tom revealed his professional concerns for members of the funeral party by guiding them through the ceremony, for while the funeral included elements familiar from more mainstream styles of service, the lack of spatial cues, for example, that a church or crematorium might offer, meant that Tom felt it necessary to provide a behavioural handrail for mourners to follow. That said, at the same time Tom was attending this funeral as a mourner and so experiencing this as one of the funeral party. Jackson (2005: xv) has discussed how behaviour is not generated simply by intentionality nor habit or unconsciousness. This was the situation when Tom responded as a mourner to events as they unfolded, reacting to his embodied emotional experiences, prompted by different stages within the process of burial (see Milton 2002: 80; Rapport 2003: 248). Tom appeared in the roles of both friend and manager in the same sequence of temporal moments. For Mark it was possible to attribute certain elements of this scene to Tom performing as a manager, while other actions exposed him as a fellow-mourner of the body in the box, as well as friend to those standing around the grave. Tom’s activities and behaviour positioned him, in the same temporal moment, as both ‘inside’ and ‘outside’ the burial party, a position he occupied because of the complexities of the roles he occupied in managing this particular natural burial ground and the activities that unfolded within it. Natural burial has potential emotional implications for all embodied persons located within the burial landscape (Ingold 2000). Tom was emotionally affected, not simply by the people he met through organising burials, but also through his immersion in the woodland landscape. He explained that the ethos of the site was centred on reconciling, ‘the natural needs of a family to take care of the deceased, with a desire to have zero impact on the environment’. While he viewed each buried body as part of a larger nutrient cycle, he also recognised the importance to those who knew this body as a once living person. Tom’s particular understanding of natural burial was not confined to ecological concerns about landscape or environment. He also regarded emotions experienced by individuals on the death of another as natural in quality. He perceived natural burial to have cathartic benefits that allowed people to ‘naturally’ engage with death through a process that ‘worked out’ emotions of loss and personal grieving, hence his emphasis on bereaved families and friends’ ownership of the burial process and his assessment of their ability to cope with various disposal activities. Exploring Tom’s interpretation of natural burial provides insight into how other natural burial site managers may understand natural burial as both landscape and cultural practice. Tom recognised that natural burial management practices, such as forging amiable personal relationships with those wishing to organise a burial on his site, had emotional implications for his sense of self. He recognised the importance of avoiding an emotional connection to the person he was burying in order to maintain his own death care professionalism (Hadders 2007: 219), and yet struggled with the tensions this generated. He regarded it as important to remain emotionally in control at a burial, when others were too distressed to cope. Tom’s experiences thus reveal that natural burial has emotional implications not only for the friends and family of the deceased, in terms of offering them a more bespoke experience, but also that natural burial ground managers working in this environment may be more emotionally vulnerable than those who represent more traditional deathcare establishments. Moreover, the management of such a site, with its concomitant attendance to human and non-human elements, necessitates the straddling of two sets of needs that might at times appear in conflict with one another. The interplay of competing emotional agendas within an arena where ‘doing things differently’ underpins working practices thus means that social and emotional boundaries must be re-thought and reconfigured. We are grateful to the ESRC for funding this research project. We would like to thank all of our research participants for taking part in the project and for their invaluable contribution to our research. Basch, L., N. Schiller and C. Blanc (1994) Nations unbound: transnational projects, postcolonial predicaments and deterritorialised nation-states, (Amsterdam: Gordon Breach). Cohen, A. (1994) Self consciousness: an alternative anthropology of identity (London; New York : Routledge). Clayden, A. Hockey, J. Green, T. and Powell, M. (2009) ‘Living with the dead’, Journal of Landscape Architecture, 4: 48-55. Clayden, A. Green T. and Hockey, J. (2010b) ‘Emerging Natural Deathscapes through Consumption and Dwelling’, paper presented at the Emerging Landscapes Conference, University of Westminster, London, June. Davies, D.J. (2005) A Brief History of Death (Oxford: Blackwell Publishing). Foucault, M. (1986) ‘Of Other Spaces’, Diacritics 16 (1): 22-7. Goffman, E. (1959) The Presentation of Self in Everyday Life (New York: Doubleday). Hadders, H (2007) Dealing with the dead patient at the intensive care unit in Mortality 12 (3) 207-222. Hockey, J. Green, T. and Clayden, A. (2010) ‘Natural Burial: its local interpretations and implications for a ‘good send-off’, paper presented at the Centre for Death & Society Annual Conference, University of Bath. Hockey, J. (1990) Experiences of Death. An anthropological account (Edinburgh: Edinburgh University Press). Ingold, T. (2010) ‘Bringing Things to Life: Creative Entanglements in a World of Materials’, Realities Working Paper No 15, University of Manchester. Ingold, T. (2008) ‘Bindings against boundaries: entanglements of life in an open world’, Environment and Planning A, 40: 1796-810. Ingold, T. (2000) The Perception of the Environment: Essays on Livelihood, Dwelling and Skill (London: Routledge). 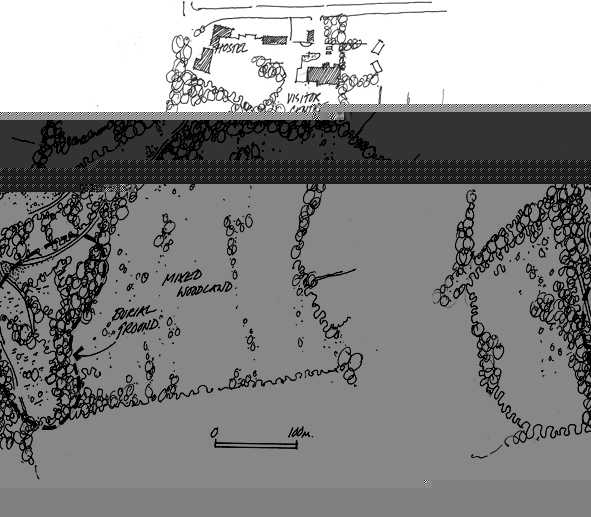 Ingold, T. (1993) ‘The Temporality of the Landscape’, World Archaeology 25 (2): 152-74. Jackson, M. (1998) Minimaethnographia: intersubjectivity and the anthropological project (Chicago: University of Chicago Press). Jackson, M. (2005) Existential anthropology: events, exigencies, and effects (New York; Oxford; Bergahn). McNamee, S. (2000) ‘Foucault’s Heterotopia and Children’s Everyday Lives’, Childhood 7 (4): 479-92. Milton, K. (1996) Environmentalism and cultural theory: exploring the role of anthropology in environmental discourse (New York: Routledge). Milton, K. (2002) Loving Nature: Towards and Ecology of Emotion (London: Routledge). Rapport, N. (1997) Transcendent individual: towards a literary and liberal anthropology (London: Routledge). Rapport, N. (2003) I am dynamite: an alternative anthropology of power (London:New York: Routledge). Rugg, J. (2000) Defining the place of burial: What makes a cemetery a cemetery? Mortality 5 (3): 259-75. Strathern, M. (1988) The gender of the gift: problems with women and problems with society in Melanesia (Berkeley: University of California Press). Stronach, I. Corbin, B. McNamara, O. Stark, S and Warne. T. (2002) ‘Towards an Uncertain Politics of Professionalism: Teacher and Nurse Identities in Flux’, Journal of Education Policy 17 (1): 109-38. Tilley, C. Y. (1994) A Phenomenology of Landscape: Places, Paths, and Monuments (Oxford: Berg). Walter, T. (1994) The Revival of Death (London: Routledge). West, K. (1991) Woodland Burial: A return to nature, A feasibility Study for Introduction and Future Development presented to the City of Carlisle Local Authority, Cemeteries and Crematorium Section. Wienrich, S. and Speyer, J. (2003) (eds.) The Natural Death Handbook (London: Rider). 1 4.3% of all natural burial sites currently in operation are owned and/or managed by funeral directors (Natural Burial database). 2 Website searches of and telephone calls to natural burial sites were undertaken by the research team in order to produce a comprehensive database of all UK Natural Burial provision, their locations, and their on-site facilities. 3 Although Ingold later rejected his notion of ‘dwelling’ in preference for the term ‘inhabiting’ as, he argues, the former connotes a ‘well-wrapped localism’ (Ingold, 2008: 1808), for our purposes we prefer to retain a dwelling perspective. As suggested elsewhere (Hockey et al 2010) the choice to bury naturally within a specific location might at times be perceived as a way of asserting and sustaining a particular social identity, one which reflects a relationship with a certain locality or region. 4 All research participants’ names are pseudonyms. 5 Participants’ narratives are reproduced from taped conversations undertaken at the burial site. 6 We note here that in our interviews with them, the majority of bereaved respondents who made use of a funeral director reflected positively on this encounter. Tom and other owners/managers we spoke with were, however, of the opinion that funeral directors do not always suggest a natural burial option to their customers, or encourage a DIY approach to the funeral process. This was a viewpoint that also surfaced in our interviews with funeral directors, many of whom held the view that being involved in natural burial practices offered less financial reward than other styles of funeral service.